Check out our two new additions to deGraan Farms! 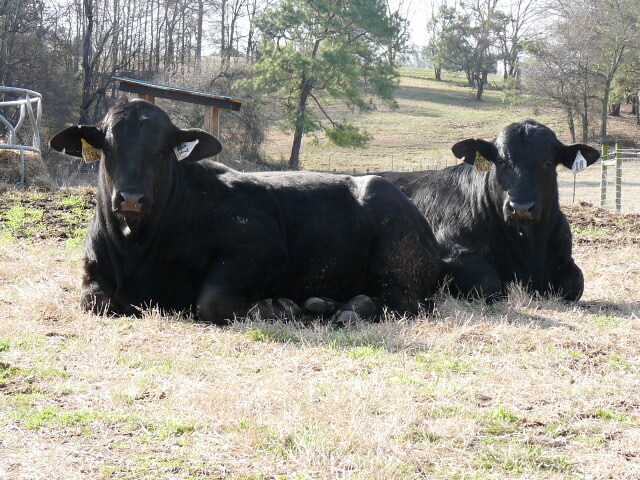 These bulls are only 15 months old and already weigh over 1200 pounds each! This past Saturday, we attended the Spitzer Ranch Brangus Bull Sale in South Carolina, where we purchased these two bulls. Our neighbors, Hunt Brangus had several bulls in the sale. We went to buy one of the Hunt bulls, but he sold to high. We had picked these two to buy as well. I love an auction! It is such an adrenaline rush for me. It is so exciting to have the auctioneer rattling the bids. Bobby is always the one that places the bids and my job is to jab him in the side to buy and push him to bid higher. As the bids go up, I anxiously watch to see if Bobby hits the bid again! It is always a bummer when we do not get one bought, but a rush when we do! This auction was not like those. They did not have an auctioneer. It was not as exciting, but we bought some great bulls. Bobby had picked out the 17 bull and I had picked out the 18 bull. Before going into the sale, we had agreed to buy one bull. The Hunt bull had already come up and we did not get him bought. The 17 bull sold before the 18 bull, and Bobby bought it!!! I was crushed. I had not jabbed him once on the bull, yet he bought it anyway. I just knew we were going to leave without the 18 bull. But, Bobby surprised me and bought the 18 bull as well. Buying the 17 and 18 bulls was in his plan. Since these are young bulls, they cannot cover as many cows as a mature bull. We will run them together with the cows so more cows get bred compared to having one bull. 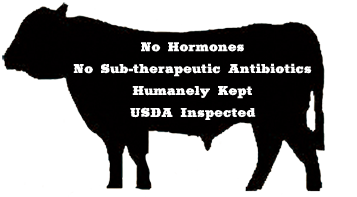 Studies and the old time farmers say one cow per month of age is what a bull will cover. So one bull would not have covered the herd, but with two, they should all get bred. 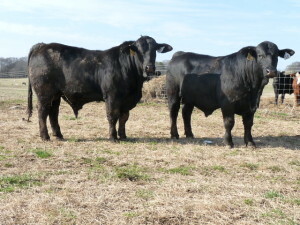 The other option is to run a mature bull with a young bull, but usually the younger bull does not get a chance at breeding. Now they have equal opportunity. Are you ready for some science? Registered cattle have an Expected Progeny Difference (EPD) for each animal. It is a prediction of what the bull’s calves will be like compared to the breed’s standard. It compares production, maternal and carcass traits. 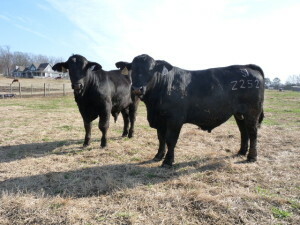 The reason we picked these bulls is because we have a large herd of mature, big framed cattle. They have been with a bull that produces a low birth weight calf, around 70 pounds. This herd is ready to have larger calves, around 90 pounds. By having a larger calf, it gives them a jump start for growing. These bulls are just that. As well as a good start, these bulls will have an above average score on weaning and yearling weights. One bull had the highest 365 day yearling weight in the sale and the other was in the top 5% in the industry. They also have great carcass numbers. The Spitzer Ranch took an ultrasound of the rib eye area of these bulls. They measured 12 inches and above. They also had an almost unheard of intramuscular fat or marbling! They should produce some calves to produce great beef. Most cattleman will buy a bull just by reading their EPDs. Bobby and I will study the EPD’s and then look at the bulls. Check out the butts on these bulls! I also like the length of the bulls as well as how deep they are from their backs to the bottom of their bellies. Even though these bulls have a lot of bone, you can see the muscle as well. Lastly, their chest is broad and deep. We have been through many bulls and I have never been this excited about a bull. There is always something that is not the perfect picture of what we were looking for. But these guys hit all the points we were looking for. Bobby and I are always looking for gentle cattle. Both bulls are super gentle. Sunday after getting them settled in, I wanted to get these pictures of them. They were worn out from the big sale day and didn’t want to be bothered. I walked right up to them and almost had to slap them on the back to get them to stand up. We feed them since they were on performance feed tests. We slowly decrease the amount they eat until they are fully on grass. This is so their rumen has time to change over from processing feed to processing grass. We were bringing them feed Monday. The 18 bull was demanding his feed and got his head under the back quarter panel of the truck and tried to roll the truck!!!! Bob had stepped out of the truck to get the feed. I felt the truck rock. Bobby looked at me. I looked at him and as I stepped out of the truck I saw the bull rocking the truck! The back wheel was off the ground! I had to yell at him to get his attention to shew him off the truck! Hopefully all the 18 bull’s calves will not be as ‘bullish’ as he is, but just as muscled up as he is!